1. 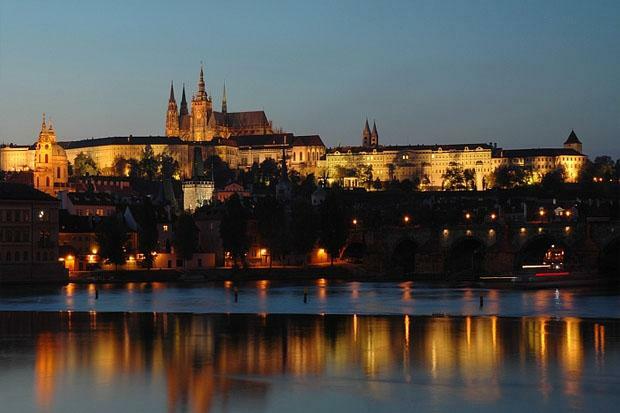 Prague Castle: No trip would be complete without a visit the largest ancient castle in the world. The history of this incredible structure dates back to the 9th century AD, and has been home to Holy Roman Emperors, Bohemian Kings, and Presidents of former Czechoslovakia. Today, it houses the Bohemian Crown Jewels. Make sure you stay to see the hourly changing of the Presidential Guards, an elaborate ceremony not unlike that seen outside of Buckingham Palace in England. 2. Josefov: This is a interesting area of Prague, which helps visitors better understand the city’s past. It was once a Jewish ghetto, and today boasts many synagogues. While several are available for touring, many are still used for worship by locals. The Old New Synagogue is the oldest active synagogue in Europe. 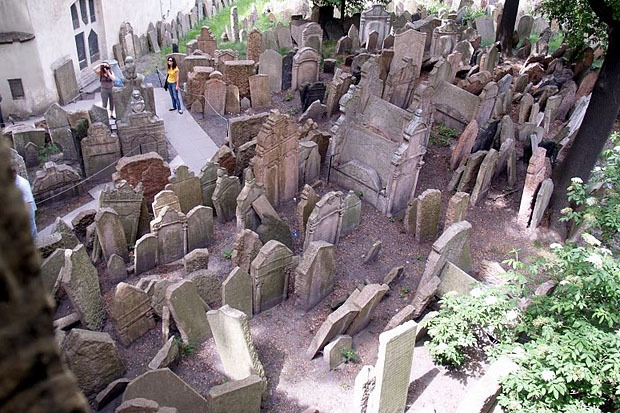 Also located in Josefov is the Old Jewish Cemetery, as well as Franz Kafka’s former home. 3. 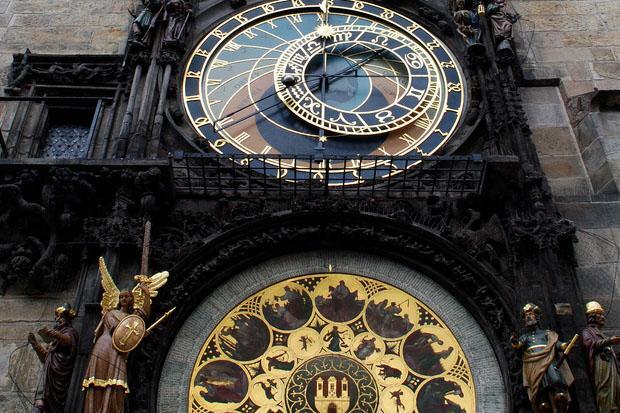 Astronomical Clock: If you venture into Prague’s Staré město, or Old Town, you’ll find plenty of historical monuments. None, however, is so interesting or significant as the Astronomical Clock, better known as Orloj. It is located on the southern wall of the Old Town City Hall, in a central location that’s easily visible. It is the third oldest clock of it’s kind in the world, built in 1410, and the only one that still works. The clock itself is surrounded by elaborate figurines, some of which move on the the hour. 4. 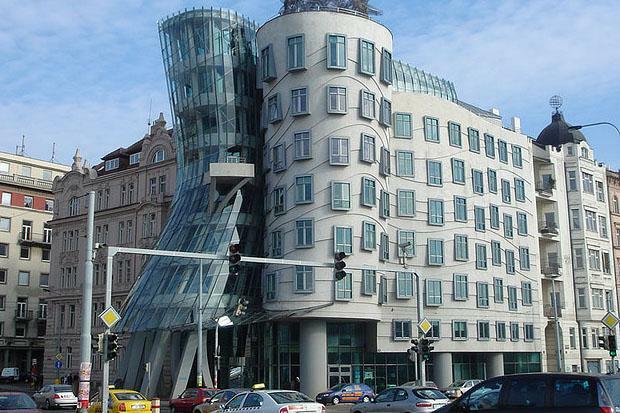 Prague Dancing House: Also called the Fred and Ginger Building, this structure is an incredible design built in 1992 and designed by Frank Gehry. The non-traditional building leans, with asymmetrical windows. At night, the building is lit up and resembles a couple dancing. While most of the occupants of the building are international firms and offices, the rooftop is a French restaurant, and is a beautiful place to sit and enjoy the skyline of the city. 5. 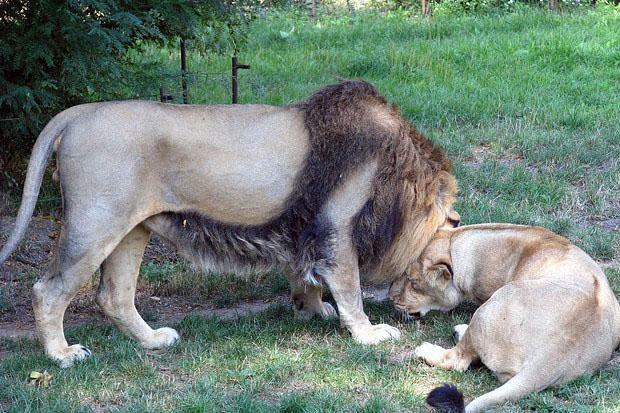 Prague Zoo: This zoo occupies over 100 acres of land, and is home to well over 4,000 different animals. It has been continually listed as one of the world’s best zoos, thanks in large part to unique animals, plenty of open spaces, and interesting interactive exhibits. Next door are the beautiful botanical gardens, full of native plants and flowers. Heather Johnson, the author of the “Top 5 must see destinations in Prague” writer for a leading on-line honeymoon planning tool. Learn all about the best honeymoon destinations today!